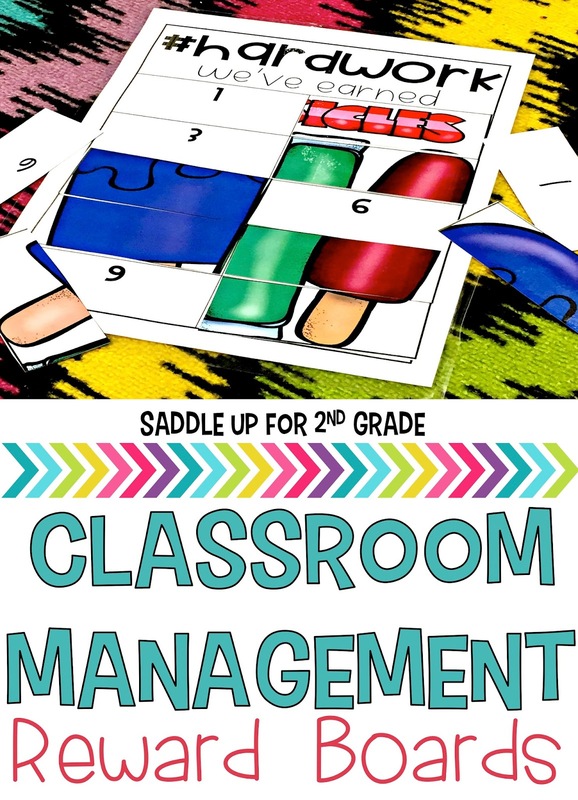 Starting the year off right with a strong classroom management plan will play a big part in how your school year will go. Today I’m going to share with you 10 strategies I use for whole group management. From day 1 I introduce non-verbal hand signals in my class. 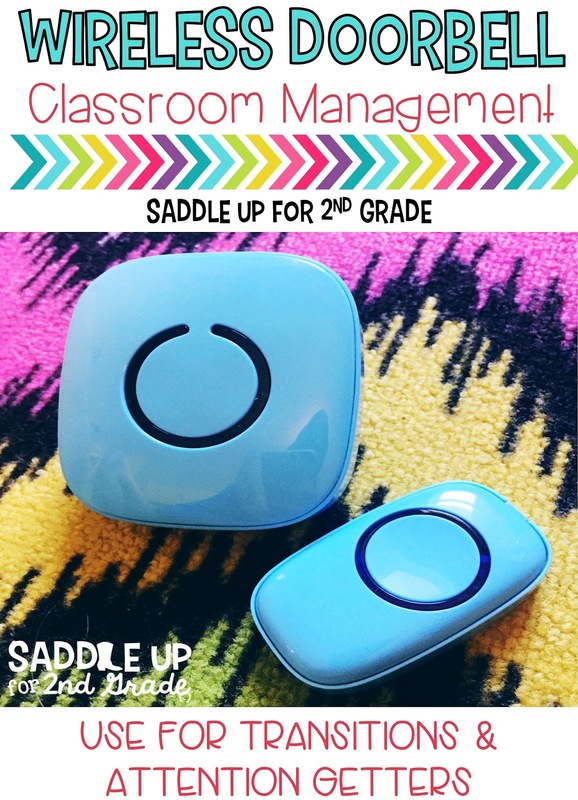 These are used to keep disruptions minimal while teaching. These posters are displayed near the front of my classroom so that students can always see them. They simply hold up a number with their fingers when they need something. If it is an ok time, I simply give them a thumbs up. If I want them to wait until I’m finished and then they can get up, I give them a thumbs sideways. If it is something I do not want them to do then I respond with a thumbs down. This strategy is so simple and so effective. The goal is for your students to get more tally marks in a day than the teacher. 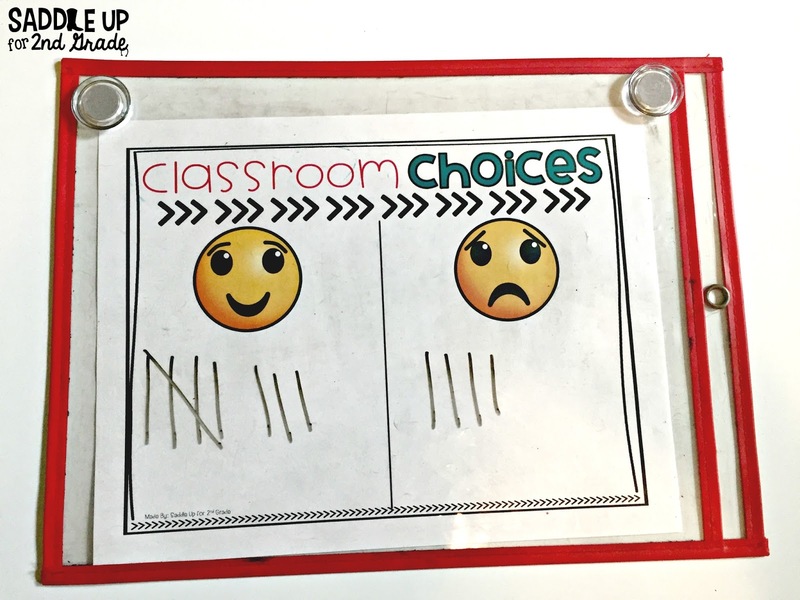 Simply make a T chart on your board with the words teacher and students. Any time throughout the day that students are working hard and following directions, give them a point. I like to also have them say a fun saying too. Example: I love how quietly we all got up and walked to our seats. Give yourselves are yee-haw! Then the whole class says yee-haw and throws their arms in the air. If at anytime they aren’t following directions then the teacher gets a point. Example: Our class was very noisy during the hallway a few minute ago. That makes me so sad. I’ll say something like whomp, whomp, whomp and the kids have to repeat it while I’m giving myself a tally. The goal is for the students to have more tally marks than the teacher at the end of the day. Another option is to use happy and sad faces rather than the words teacher and student. My class was super into emojis last year so I made this poster using them. The concept works the same way. Their goal is to have more tally marks under the happy face rather than the sad face at the end of the day. You can grab these dry erase pockets here. If they had more tally marks than the teacher then they got to draw a picture card for our #hardwork board. All through out the day I’m looking for positive behavior to compliment. 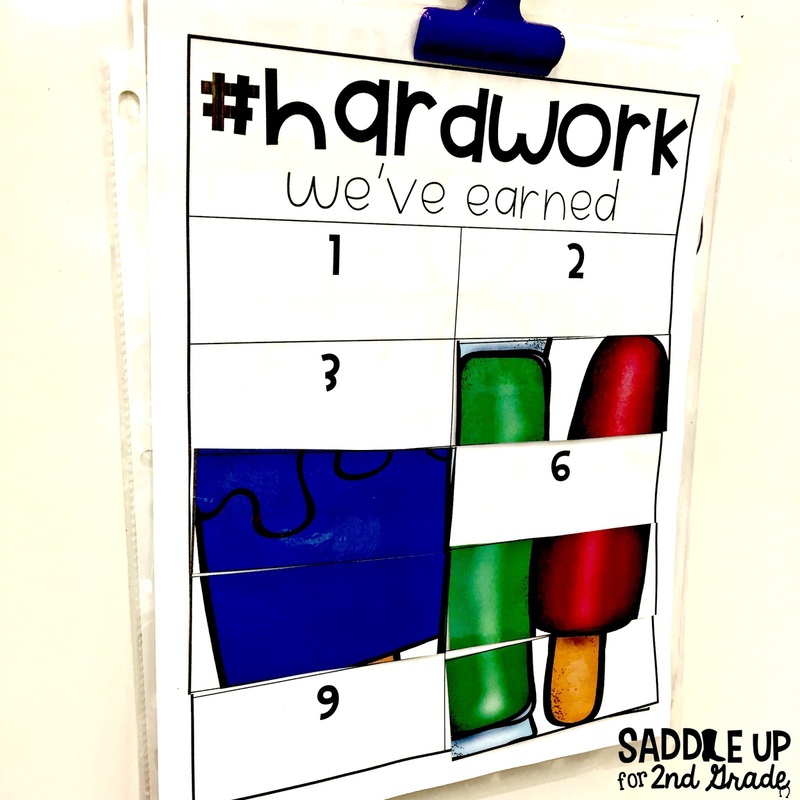 When I see something worth sharing, I let them pick a number for our #hardwork board! 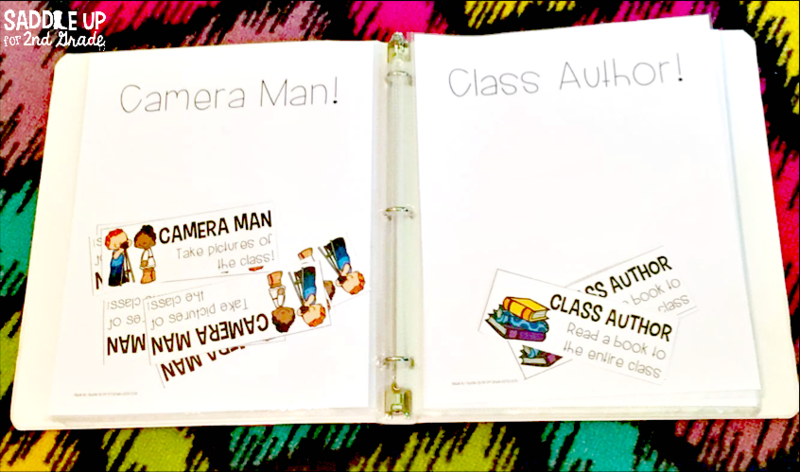 This management system is a great visual incentive for students to work towards a reward. I placed a blank board in a plastic sleeve and hung it on our white board with a clip. 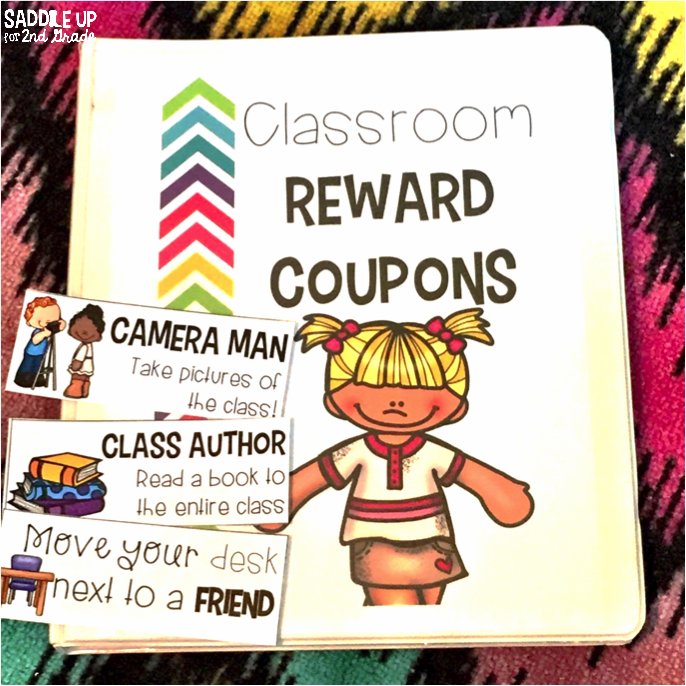 Print the reward cards and laminate them. 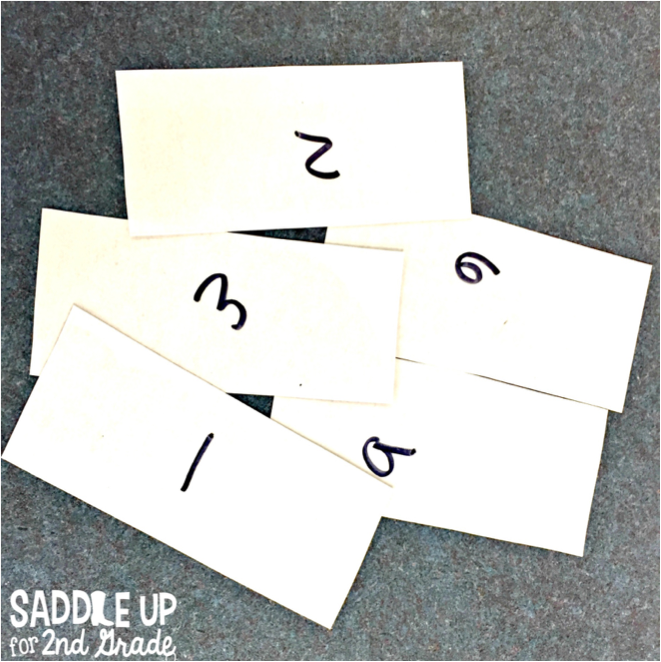 Then, write the numbers 1-10 on the back with a marker. 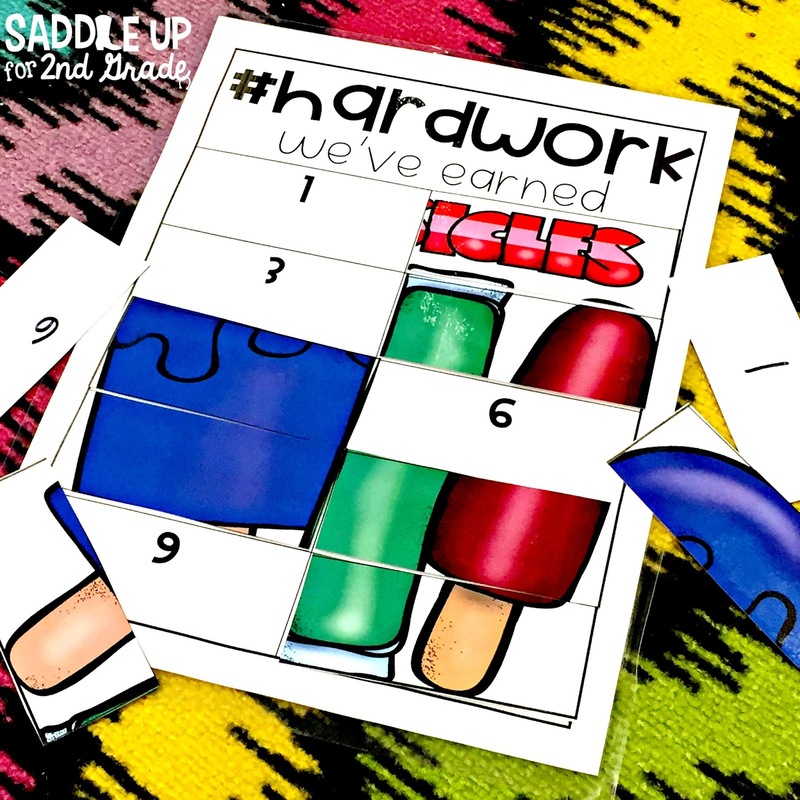 As you spot positive behavior throughout the day, let a student draw a picture card and place it on the matching number on the #hardwork board. I let students pick 1-2 cards per day. Here are some things I look for when letting them pick a picture. 1. Sitting quietly on the carpet. 2. Working well with their table groups or partners. As more pictures get added the the board, a picture of their reward will start to be revealed. When they fill up their entire board, they get the prize that is featured in the picture. 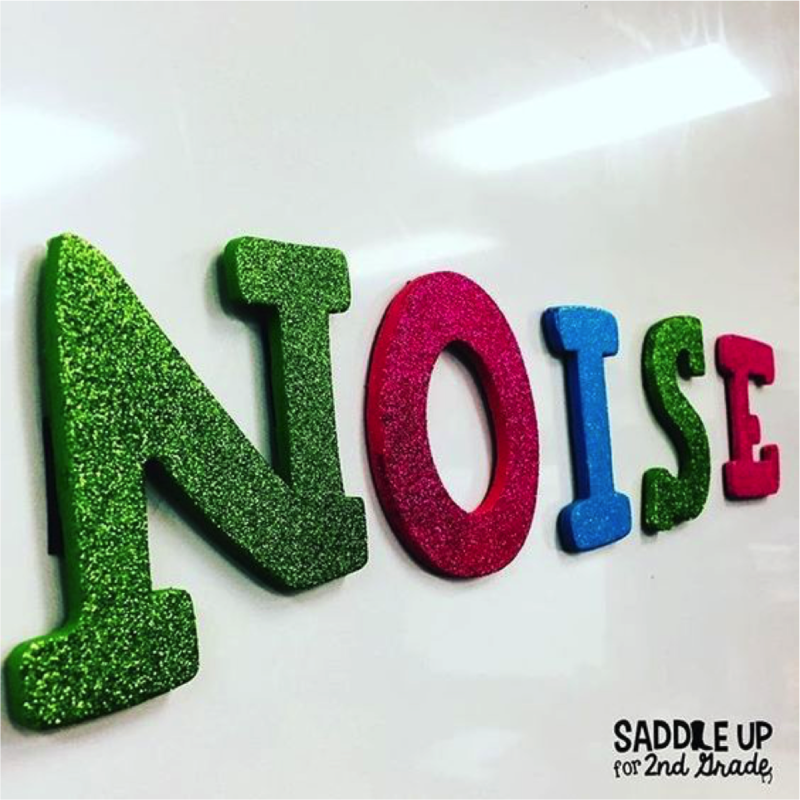 I bought these letters from Hobby Lobby that make the word ‘noise’. I added magnets to the back so that I could use them on my whiteboard. Anytime the class is too noisy, I remove a letter. If they loose all their letters they have time off of recess or another activity that they get excited about. 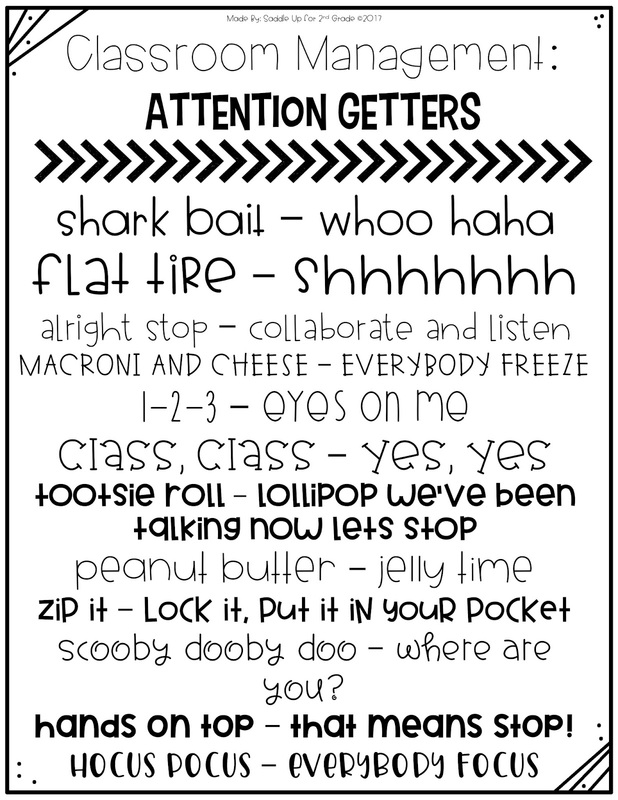 Attention getters or call backs are a big hit in my classroom. These are used when you are wanting to bring the class back together or get their attention. The teacher calls out a silly phrase and your students respond back with a silly phrase. However the teacher says the phrase, that is how they have to repeat it. For example, if I say “hocus pocus” in a low deep voice, then the students will respond with “everybody focus” in a low deep voice. When finished, they are suppose to be sitting or standing quietly with their eyes on you. Here are some of my favorites. You can click here to grab this free printable! I gave up my treasure box along time ago and switched to reward coupons. My favorite part about these is that they cost me very little money. I also have it set up to where it is completely student ran so that I’m not taking time out of our day to pass out rewards. 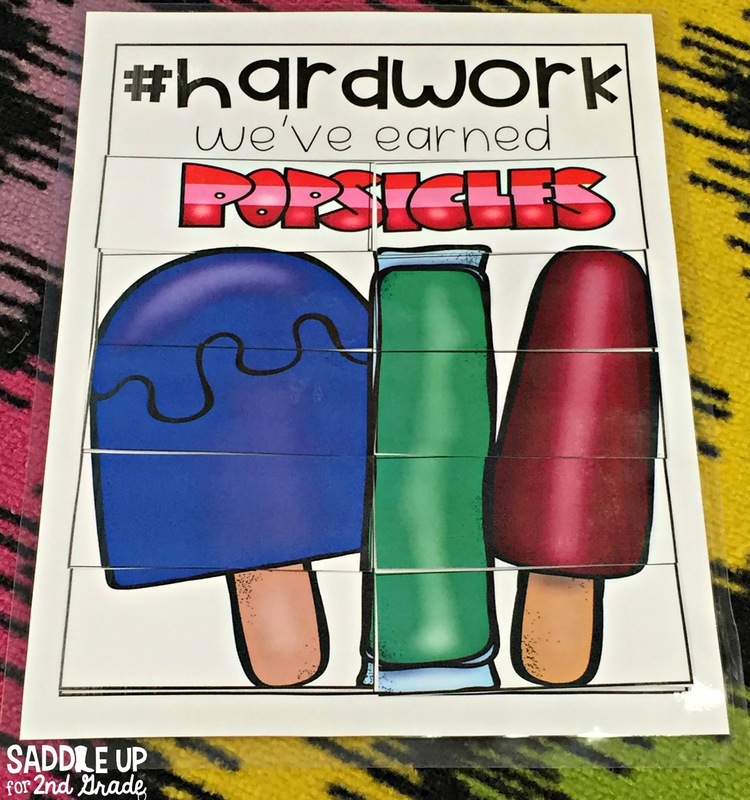 I use ClassDojo and reward students with points throughout the day. For every ten points, they earn a reward from our coupon book. I bought a 1.5″ binder and inside there are plastic sleeves with the reward titles inside. I put several copies of each reward coupon inside the sleeve. I also have our notebook divided into sections for each point level. 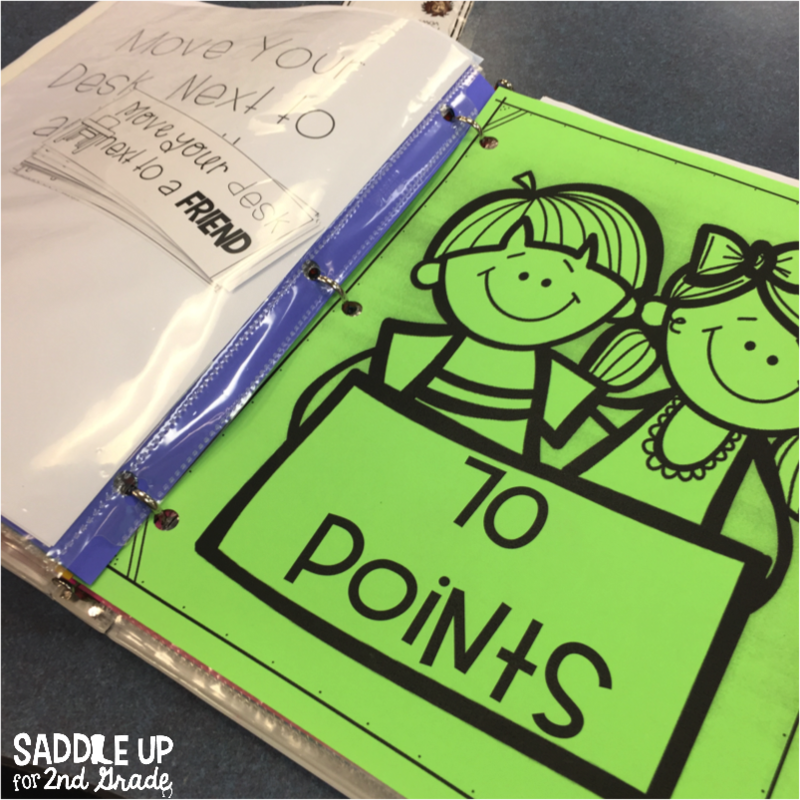 When they hit the next set of 10 points, they come get the binder from the shelf and choose the reward themselves. For example, when they hit 70 points, they can choose from anything behind that label. It’s completely student centered and very little prep for me. I’m always looking for ways to promote kindness in the classroom. I got this idea from my teacher partner several years ago and have loved using it. Have children sit in a circle with their legs out in front of them. Pass around a small object such as a ball or maker. The person holding the object must say a compliment about someone with their legs out. Once done, the person passes the object to the next person and tucks their legs in. This continues until everyone has had a chance to go and allows each child to say a compliment and give a compliment. I like to do this every six weeks or so to remind students how important it is to compliment one another. 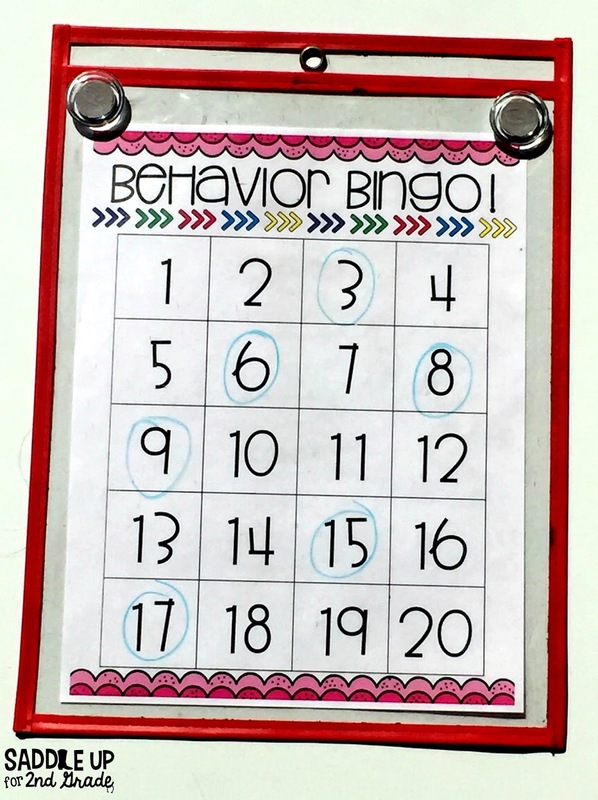 Behavior Bingo is another class favorite when it comes to working hard for a reward. When extraordinary behavior is spotted, I’ll call on a student to come draw a number for our bingo board. This is placed in a plastic sheet protector and I use a dry erase marker to circle the number that was drawn. When students complete a full line, they are rewarded. I reward my tables with points on ClassDoJo. 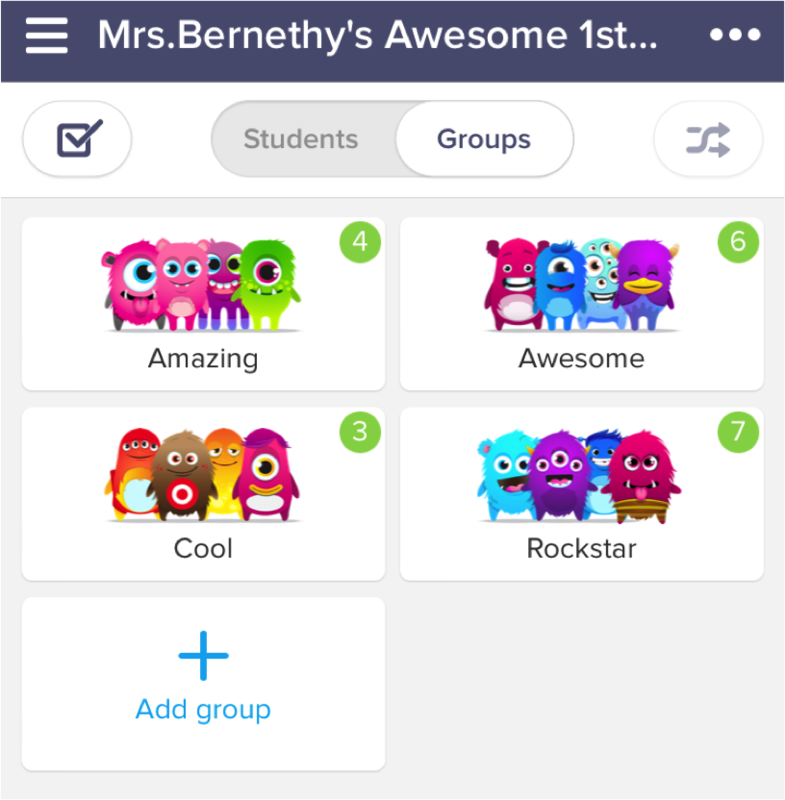 If you don’t use ClassDojo then you could easily give table points with tally marks on your white board. Here is what my table groups looked like. Throughout the day I would give points to groups for various things such as team work and working quietly. 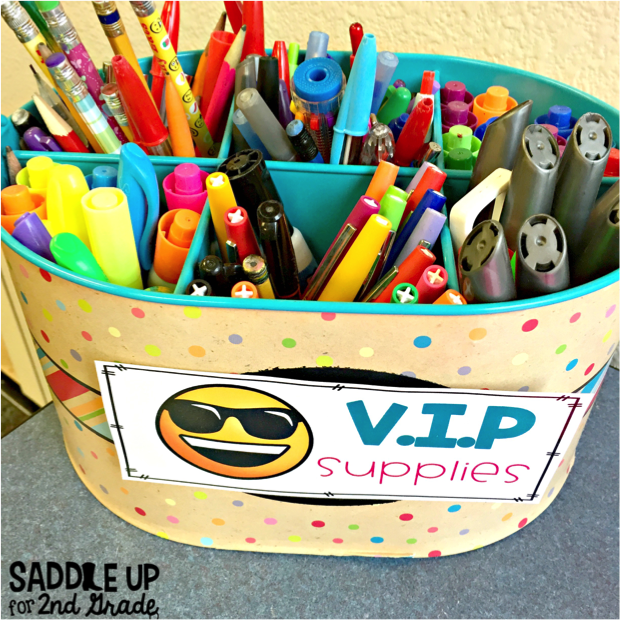 At the end of the week the table with the most points got to use the VIP supplies the following week. This is a caddy that contained special supplies that the other kids were not allowed to use. Here are some ideas that you can include in your VIP caddy. The caddy just travels to different tables each week rewarding those with good behavior. Want to save some of these ideas for later? Pin the images below! 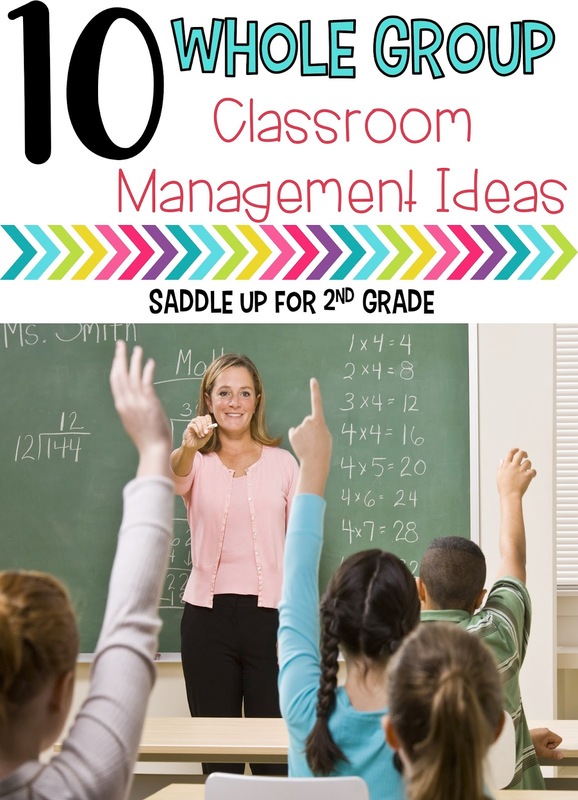 If you’re looking for more classroom management ideas, check out my Pinterest board!